There's no better place to own a business than BC's Sunshine Coast! The lifestyle is amazing, the community is supportive, and potential is unlimited! Here, in alphabetical order, are eight of the Coast's top business opportunities! Call or text me at 604-418-2695 about theses businesses or any other property on the Sunshine Coast. I'm always excited to share my love of the region as well as my experience as a local business owner myself. Own a piece of Sunshine Coast history! This charming home has been lovingly maintained and recently renovated. Boasting panoramic ocean views, dock access, legal suite, beach cabin and C2 zoning, you are limited only by your imagination as to the use of this property. Potential uses include an oceanfront restaurant or art gallery/studio. Nestled in the Heart of Roberts Creek, Ambrosia Organic Living has been bringing quality food and great service for over 15 years. Formerly known as the Roberts Creek Health Food Store, the owner has stayed true to the humble origins and carry many of the same great products the locals have come to know and love. This is a very well run, profitable, turn-key business and is ideal for an investor or someone that has a passion for healthy living. Perfect fit for an entrepreneur that's looking for a balanced lifestyle being their own boss. This retail space in the busy Gibsons Public Market could be the perfect fit for your business! There’s a prep area as well as coolers and a refrigerator. This would be a great location for an ice cream shop, a chocolatier, or a smoothie/juice bar. PLEASE NOTE: Only the space is for sale and NOT the existing business. This is your chance to own the premier outfitters on BC's Sunshine Coast. Tonnes of opportunity here for expansion of both products and services. An excellent high traffic location along the Sunshine Coast Highway makes this one of the best retail locations in Gibsons. Daphne's has been around for decades but everything inside this recently renovated restaurant is brand new! There's a new Kitchen, a completely renovated dining area, an awesome new bar! There's 20 years of history behind the Daphne's brand and that means loyal clientele and many regulars. Dorado Beauty Bar is a turn key operation in a high traffic location that could make all of your entrepreneurial dreams come true. Found right next to Highway 101, this popular commercial area is well traveled by locals and tourists alike. With a major grocery store as an anchor tenant, this location is consistently busy. great cash-flow. Fantastic location in the very busy Gibsons Park Plaza. Busy and profitable, Market Bake Shop is perfect for a first-time entrepreneur or an experienced operator. This coffee and baked goods store in the Gibsons Public Market is set-up, well established, and turn-key. This little flower shop in the popular Gibsons Public Market could be the opportunity you’ve been waiting for! This is a turnkey business that’s waiting for an ambitious young entrepreneur to take it over! Sellers are moving into the wholesale business and can supply you with product on a weekly basis so you can learn as you go. Please note: the Rainflorist name and branding are not included in the sale. 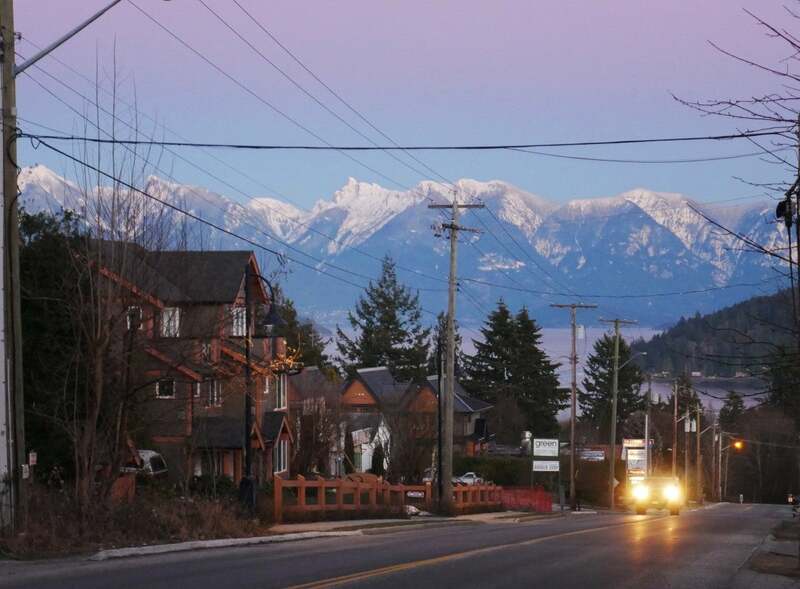 Here’s your chance to own one of the few commercial properties in all of West Sechelt. This listing includes the land and the building as well as the busy Mason Place Market, the only convenience store in the area. With its community bulletin board, outdoor seating area, and Canada Post mailboxes, this business is a neighbourhood hub for one of the fastest growing communities in West Sechelt. Well established and profitable, Sunpro Enterprises is the Sunshine Coast's premier deck, awning and railing company. This turnkey operation is perfect for someone in the industry looking to expand to the Sunshine Coast or for an entrepreneur that wants to stop commuting and start working for themselves. Excellent staff and loyal customers. Full training available. Trip Advisor's top-rated Gibsons restaurant is now available to new owners. Located right in the heart of Lower Gibsons, this restaurant is in a prime location for tourists and locals alike. There are spectacular ocean views that can be enjoyed while dining inside or outside on the deck. Including both the indoor and outdoor spaces, there’s seating for 54 guests. Great location with amazing views and oodles of potential for expansion.